Hide or show “hidden” files (.htaccess for example) on your Mac using Alfred. The extension automatically restarts the Finder quickly for you after a command is given to reflect the changes immediately. Uses Notification Centre (or Growl if you have not yet upgraded to Mountain Lion) for success or error messages. Fast. At the heart of this extension is a simple shell script that runs very simple and commands to do the heavy lifting. For the paranoid, the source code is yours to inspect and alter via the Extension preferences panel. Easily configure the keyword and notification preferences to your liking in the Alfred Preferences -> Extensions pane. 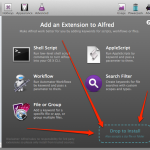 You will need the Alfred Powerpack to use any Alfred extensions. First, download the Alfred “Toggle Hidden Files” extension. This will save the file to your Desktop or Downloads folder depending on your preferences. 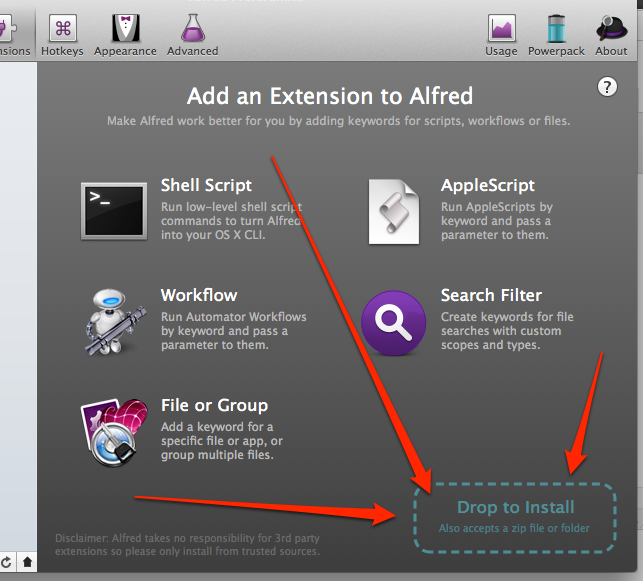 Next, install the extension via Alfred Preferences -> Extensions. Drag and drop the downloaded “Toggle Hidden Files.alfredextension” over the area in the screenshot below. You’re done! Really nice work, you installed that quickly. Checkout the usage instructions below. 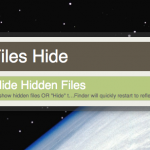 Once installed, showing or hiding hidden files is super simple. You must pass either “Show” or “Hide” when using this command. 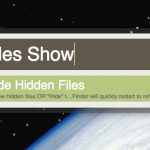 You can change the keyword (“hiddenFiles”) via the Preferences -> Extensions tab. Added options “Show” and “Hide”. Added initial files for public release. 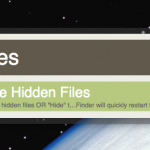 Download the “Toggle Hidden Files” Extension for Alfred App. This entry was posted in Alfred App, Plugins & Extensions, Software and tagged alfred, apple, bash, extension, mac, plugin by Drew. Bookmark the permalink.